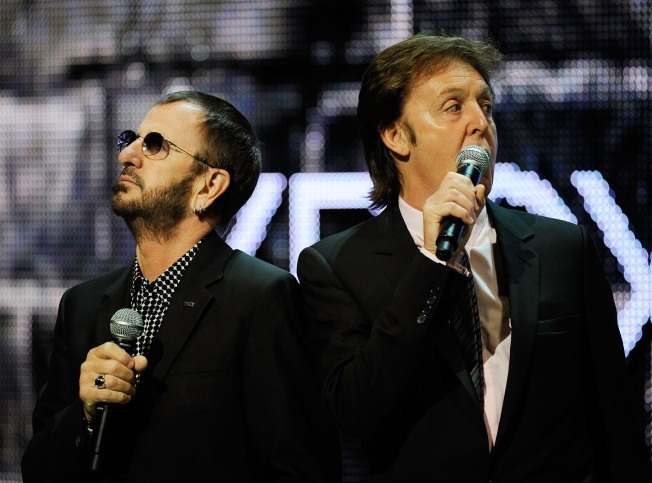 Musicians Ringo Starr (L) and Paul McCartney (R). Forty years after the Beatles' last gasp as a group on celluloid, we can't let them be. When the documentary film "Let It Be" premiered in New York 40 years ago this week, none of the Beatles attended. The snub was a sign of the times: Paul McCartney publicly announced a month earlier he was leaving the group, putting an effective end to the most successful rock act in history. The film turned into a kind of Beatles reality show of its time – it could have been called "Breaking the Band." Originally devised by McCartney as a chronicle of the group recording an album as a prelude to a grand concert or tour, the film instead shows a band in dissolution. They bicker, ignore one another and generally come alive only when doing what they did best: make music. If nothing else, "Let It Be" immortalized on film the Beatles' final public performance, an impromptu gig atop the roof of their Apple headquarters in London. The bittersweet anniversary follows word of a new film in the works that will dramatize the Beatles' downfall. Oasis' Liam Gallagher, whose Beatle influences are well known (forget the music – he named his son “Lennon”), is helping develop the flick, to be based on the 1973 book, "The Longest Cocktail Party," according to The Hollywood Reporter. The memoir, by former Apple employee Richard DiLello, marked one of the first entries in what became a cottage industry of Beatle-related tell-alls and examinations of the forces that drove them apart. Gallagher's effort comes at a time when there are other Beatle cinematic treatments afoot. 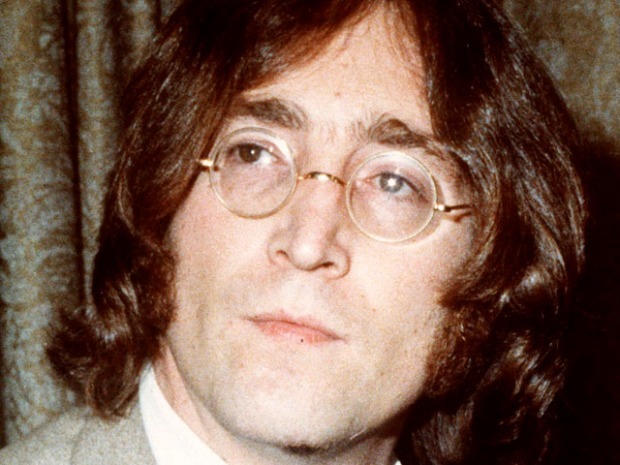 "Nowhere Boy," about John Lennon's turbulent childhood, is slated to open in the U.S. in October to mark would have been the slain Beatle’s 70th birthday. Meanwhile, “Forrest Gump” director Robert Zemeckis is set to reanimate the Fab Four in a 3-D capture performance remake of the psychedelic cartoon "Yellow Submarine." The projects, along with last year's rerelease of remastered CDs and the Beatles Rock Band video game, shows the appetite is still strong for the group’s music, and for the legend – virtual, fictionalized or in the flesh. McCartney, who turns 68 in June, is gearing up to play Mexico this month. Ringo Starr is set to tour this summer – and is scheduled to perform a 70th birthday show at Radio City Music Hall in July. But as “Let It Be” showed, the Beatles can never get back to where they once belonged. The rooftop concert captured in the film concludes with Lennon quipping, "I hope we passed the audition." But when thinking about the movie, another quote – a show biz axiom – comes to mind: "Always leave them wanting more." Which is precisely what the band did. Forty years after the Beatles' last gasp as a group on celluloid, we can't let them be.